Reggie holding it steady during the barbell Farmer carry. Wow!! Tomorrow is the first day of December…. can you believe it?! 2012 is just around the corner. This year has FLOWN by!! We, CrossFit Junction, have been up and running for 15 months now and we are growing every day. Thanks so much to each and every one of you, our CrossFit Junction members for allowing us to help you become better athletes, parents, spouses, bosses, and friends. 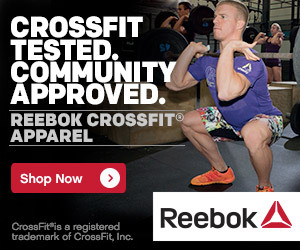 Thanks for letting us share the gift of CrossFit with you, we are honored. Here’s to another great year! !